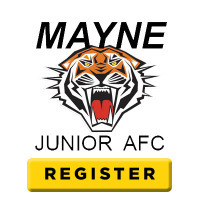 To keep up with all our news, head over to our new website www.maynejuniors.com.au. All the latest football club news and information can be found at our new website maynejuniors.com.au. The new Mayne Tigers JAFC website includes a fantastic calendar of events.